School and Role: Director of Maths at Twynham School, Christchurch. She has worked in secondary education since 1998 as a Subject Leader in schools judged as outstanding, in both London and Dorset. Developing teaching for conceptual understanding in mathematics. School and Role: Head of Pupil Premium and Intervention at Twynham School, and teacher of Business and Economics. Planning intervention strategies aimed at closing the gap and monitoring their impact. Planning and delivering CPD for teachers and teaching assistants about disadvantaged students. Reporting on closing the gap to parents and governors. Raising the profile of disadvantaged students within a school. Conducted a joint Pupil Premium Review of a Middle School deemed 'requiring improvement' by OFSTED to look at how effective their Pupil Premium strategy is and what improvements could still be made. Tracking Pupil Premium expenditure and analysing the impact based on GCSE performance. Working alongside Senior Leadership to track the progress of disadvantaged students and then planning interventions to close the gap in attainment. School and Role: Developing whole school approaches to teaching and learning at Twynham School, with a focus on pedagogy and student learning. Kate leads Lesson Study as a vehicle for school-based research. She is a Science and A Level Biology teacher. Collaborative work with senior/middle leadership to plan CPD opportunities at partner school. Supported leadership in raising attainment at KS5 Biology. Supported mentoring/coaching of trainee teachers in 11 different training schools. Role: Assistant Headteacher, English Subject Leader, Year Two Class Teacher. Identifying and developing opportunities for teachers and teaching assistants to undertake appropriate areas of responsibility to drive improvements in practice and provision. School and Role: English Leader at Christchurch Junior and previously in a Hampshire junior school. Teaching primary for over 10 years; working in Year 6 for the last 6 years. Engagement and enjoyment with English – developing teachers’ planning. Collaborative work with Year 6 colleagues across Christchurch schools. Supported modelled writing with colleagues in school. School and Role: Head of English at The Grange School. Working alongside Senior Leadership to track the progress of key groups of students and planning interventions to close the gap in attainment. School and Role: Head of RE at Twynham School, Christchurch. 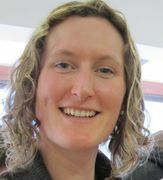 She has worked in secondary education since 2001 and has been actively involved in Dorset SACRE and NASACRE since 2008. Support for local schools with A Level and GCSE through the Dorset RE Exchange (Hub) through network meetings as well as the provision of a Key Stage 4 conference on Islam. School and Role: Lead Teacher of Maths at Twynham School, Christchurch. Accredited as a Maths Advanced Skills Teacher in 2011, she has worked in schools in Cambridgeshire, Surrey and now Dorset.